Dr Kim Rose (over 30 years experience in the local industry) and Dr Peter Harding (Internationally recognised board certified specialist equine surgeon) provide complete surgical care for both emergency and elective surgical procedures. In the case of an emergency, our surgical team is available 24 hours a day. The surgery facility consists of an operating theatre and a dedicated padded recovery room. An overhead hoist system lifts horses between the rooms. In addition, we also have facilities for standing surgery. Where appropriate, procedures such as sinus surgery, laparoscopic abdominal surgery and reproductive tract surgery can be performed with the horse standing, under sedation and local anaesthesia. A wide range of different emergency and elective surgeries are regularly performed at Ascot Equine Veterinairans including: orthopaedic surgery, colic surgery, laparoscopy, respiratory, sinus and dental surgery, urogenital surgery, and wound repair. The hospital has a dedicated surgical theatre fully equipped to perform a range of orthopaedic procedures from routine ‘key-hole’ surgery (arthroscopy, tenoscopy, and bursoscopy) to advanced fracture repair. 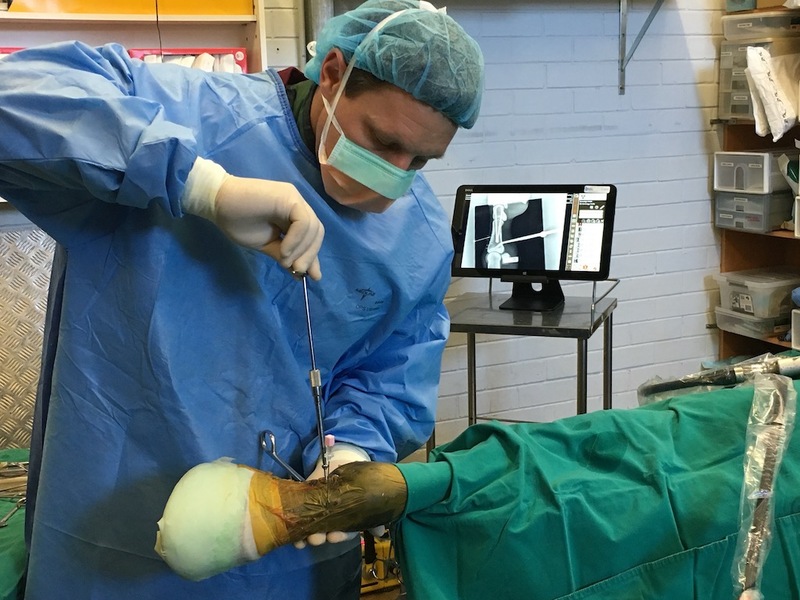 Most surgery of equine joints and other synovial cavities is now performed using a ‘key-hole’ approach. 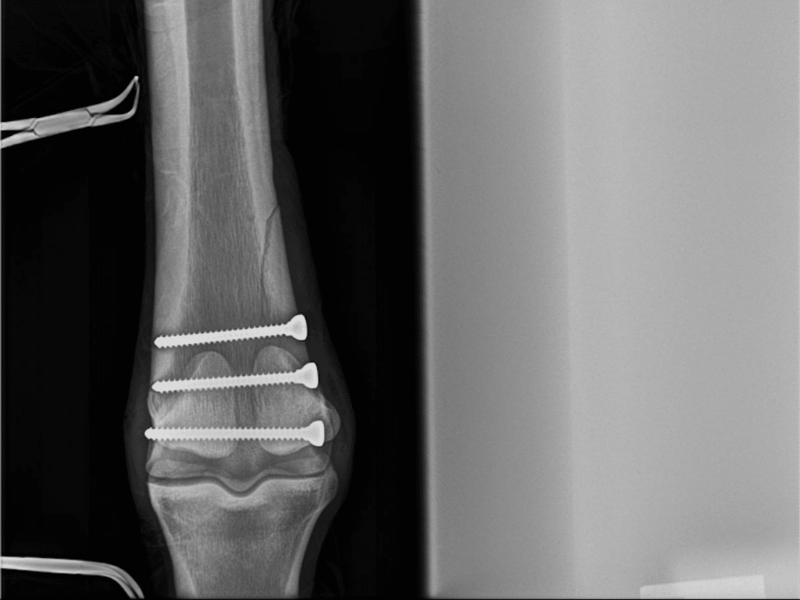 This minimally invasive surgical technique has revolutionised joint surgery, resulting in less postoperative swelling than traditional open techniques and shortened recovery times with earlier return to training. Horses with synovial sepsis (joint infections) represent a significant portion of our referral caseload. The outcome for horses with severe synovial sepsis can potentially be fatal. It is well recognised, however, that the success rate is high in early diagnosed and appropriately treated cases. 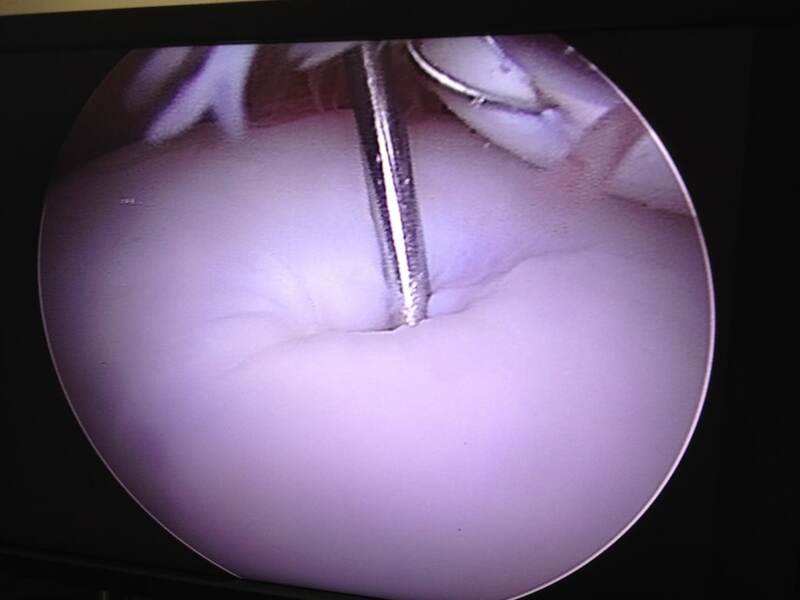 Arthroscopic lavage is a key element in the treatment of such cases. 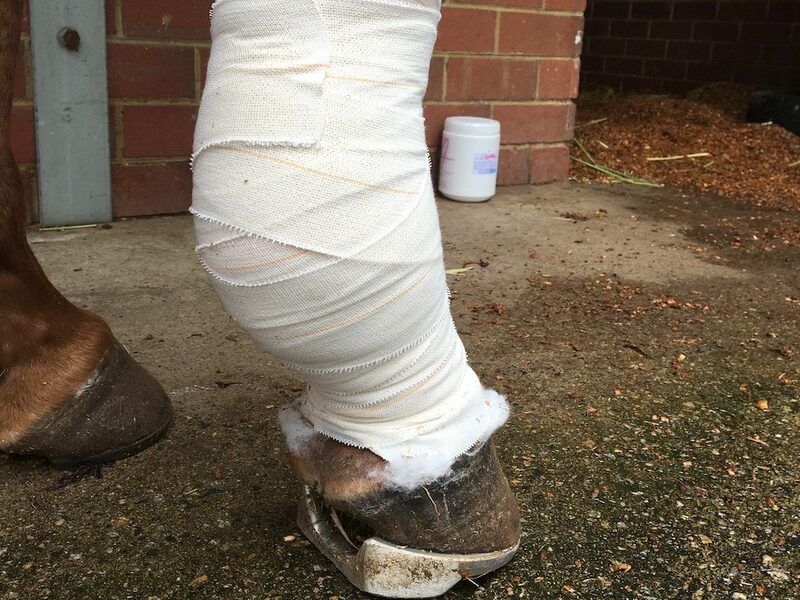 Fractures in horses have historically been considered life ending injuries. However with improved surgical implants, advanced training and newer techniques, the success rate and prognosis of many fractures in horses have improved considerably. Although fracture repair remains challenging, continued advances in fracture fixation techniques and improvements in diagnostic imaging have contributed to increased survival and even return to athleticism in certain cases. 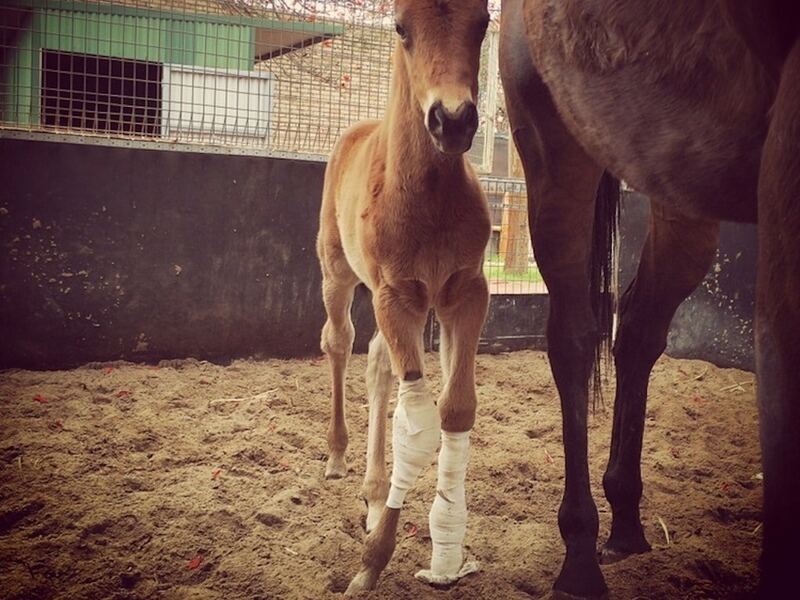 Angular and flexural limb deformities in foals are a common occurrence. Severity ranges from mild deformities that may only require conservative management, to more severe, potentially career ending deformities that require expert advice and treatment. Early recognition and correction is essential to improve conformation and optimize career potential. 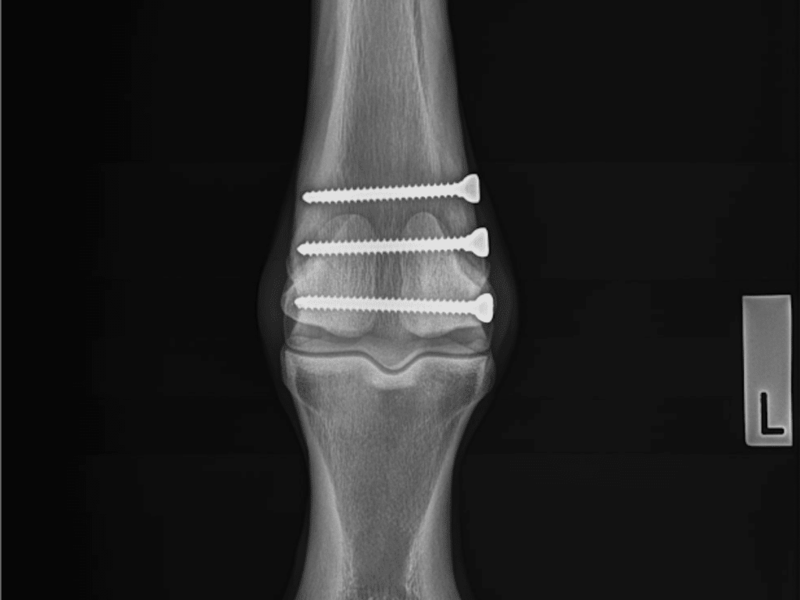 At Ascot Equine Veterinarians, we offer both conservative management options and all surgical options (periosteal stripping, single screw transphyseal placement and transphyseal bridging with screws and wire) to correct angular limb and flexural deformities in foals and weanlings. Colic is a common condition affecting all ages and breeds of horses and severity ranges from a case of mild discomfort to severe pain and a life threatening condition. 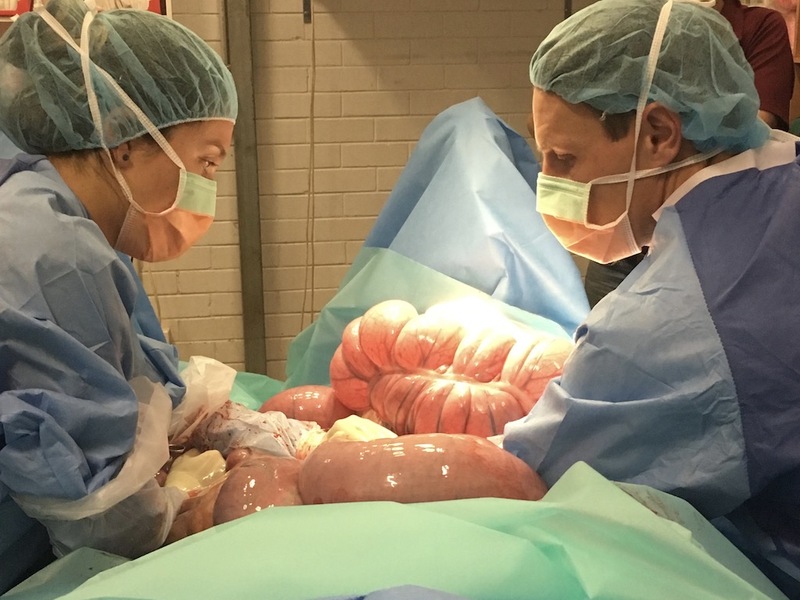 Over the years, advances in anaesthesia and surgical equipment together with surgical expertise and improvements in post-operative surgical care have contributed to a significant increase in patient survival with equine colic. At Ascot Equine Veterinarians, we have the ability to manage all types of colic cases, both medical and surgical. Many cases can respond successfully to intensive medical management but a significant proportion will require surgery and intensive care post-operatively. Emergency colic surgery can be performed 24 hours a day. Survival rates are greatly helped by promptly seeking veterinary care. Laparoscopic (or keyhole) surgery of the abdomen enables the surgeon to visualise and evaluate the gastrointestinal tract and other structures of the abdomen using a camera inserted through small incisions in the flank. 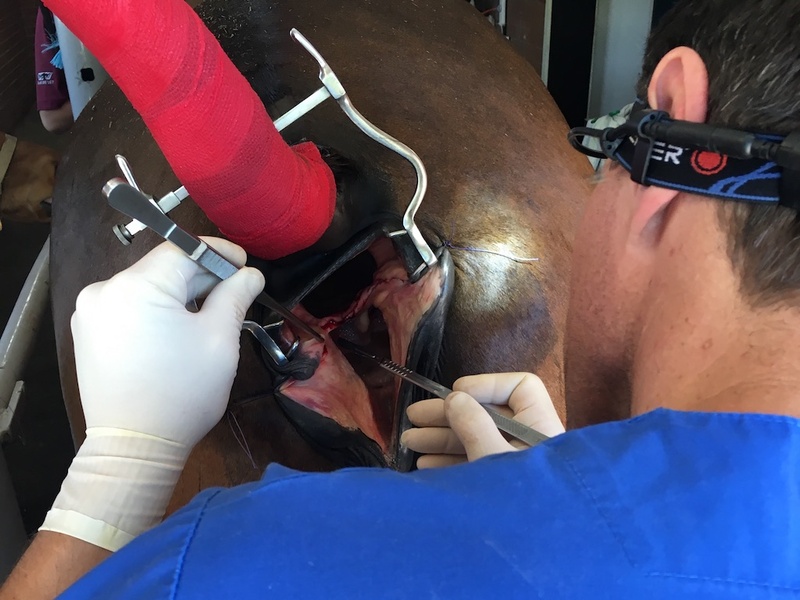 The procedure can be used to remove retained testicles (cryptorchids) or to remove ovaries in mares with ovarian tumours or cysts. In most cases the procedure can be performed in the standing sedated horse. This minimally invasive surgery results in a decreased risk of complications and a much shorter recovery time compared to open abdominal surgery. 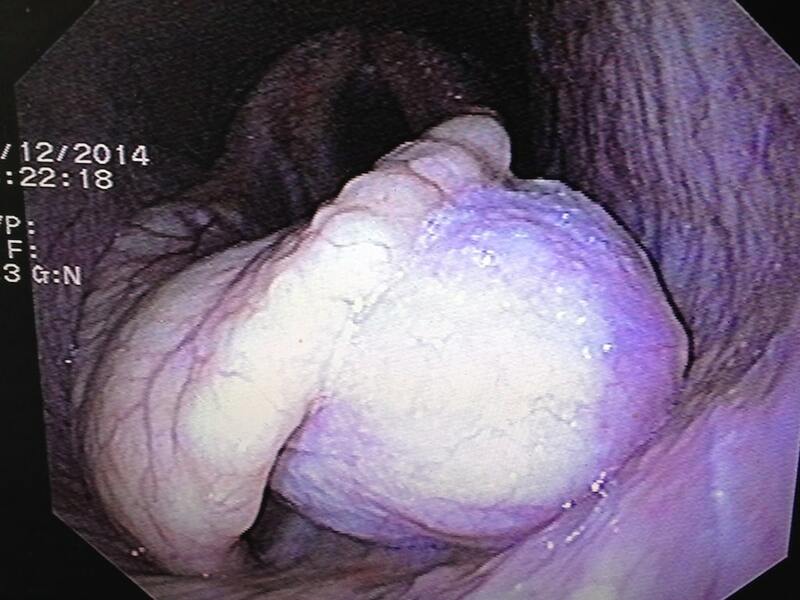 Laparoscopic surgery may also be indicated in cases of chronic or recurrent colic and weight loss. Upper respiratory tract conditions are a common cause of exercise intolerance and poor performance in the equine athlete. At Ascot Equine Veterinarians, state-of-the-art diagnostic equipment including overground dynamic endoscopy, together with extensive experience facilitates the diagnosis and treatment of upper respiratory disorders. A variety of procedures are commonly performed including laryngoplasty (tie-back), laryngeal advancement surgery (tie-forward), axial division of the aryepiglottic fold (epiglottic entrapment surgery) and arytenoidectomies. 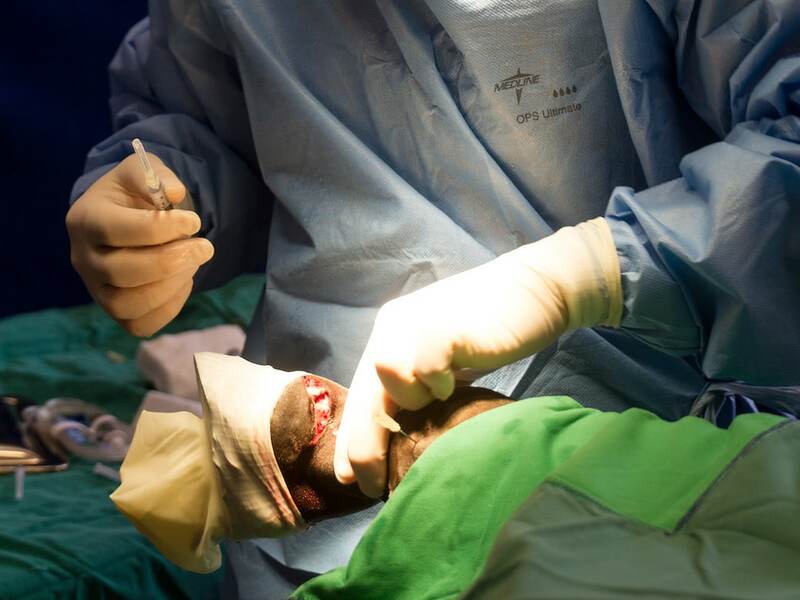 A number of these surgeries are performed under standing sedation and local anaesthesia rather than general anaesthesia. Surgery of the head, nasal cavities, guttural pouches and sinuses are also regularly performed. Where appropriate, sinus surgery can be performed with the horse standing, under sedation and local anaesthesia. Dental disease is also common in the horse and often results in secondary infection of the paranasal sinuses. Dental surgery is routinely performed both under general anaesthesia and in the standing sedated horse under local anaesthesia. We liaise closely with two recognised equine veterinary dentists who perform oral tooth extractions for us if necessary. Urogenital surgery may be necessary for a number of conditions ranging from uterine tears or urine pooling in mares, to retained testicles or penile tumours in the male. Depending on the procedure, surgery may be undertaken using local or general anaesthesia, using a variety of surgical techniques. Laparoscopy can be used to remove retained testicles (cryptorchids), or to remove ovaries in mares with ovarian tumours or cysts. 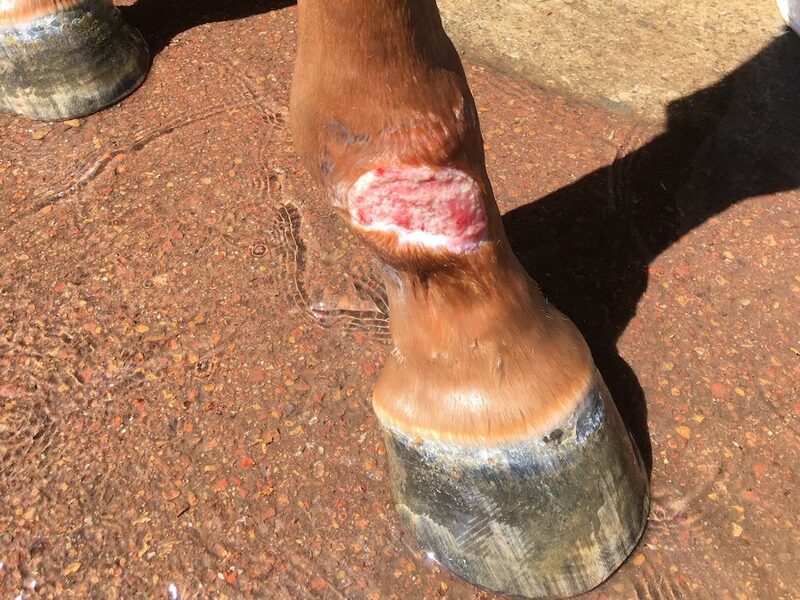 The hospital deals with an increasing number of difficult wounds either assessed by our own primary clinicians or referred by veterinary surgeons in practice. These are frequently managed by limb immobilisation in fibreglass casts, or by the use of various skin grafting techniques.